When I saw the title of this album, I wondered what was going on, what was coming next. I do ‘follow’ French act Monolithe as from their first album, which was called I (2003), and their next releases were called, indeed, II, III (review posted on February 6th 2013) and IV (see update on October 26th 2013). III and IV were released in 2012 and 2013 respectively via Debemur Morti, and this label will now re-issue I and II (2005); the reviews on the re-releases will follow very soon, by the way – that’s a promise. But Monolithe recorded two EP’s too in mean time, which were called Interlude Premier and Interlude Second (2007 and 2012), and which were freely downloadable at the net. 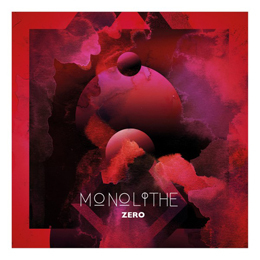 Besides the re-release of both first full lengths, Debemur Morti did compile both interludes in order to re-release them under the title Monolithe Zero. So it has nothing to do with material composed before I, but it deals with the material in between II and III. Monolithe 2.5 could have been a possibility as well??? Monolithe Zero opens with Also Sprach Zarathustra, which is a re-interpretation of Richard Strauss’ masterwork. You will surely recognize the famous classic melody, if only because of Kubrick’s 2001: A Space Odyssey, but you need to admit: isn’t it a great version? Then comes the Interlude Premier-highlight Monolithic Pillars, which is remastered for this edition especially. This track is evidently very recognizable for Monolithe’s style, but it might be the most blackened thing Sylvain Bégot and his crew ever did. This long-stretched Funeral Doom hymn is slow, very slow, with a haunting melody, an extremely heavy rhythm section, a huge variation on vocals (with sampled voices included), magisterial leads, and pretty much interesting details, like the techno-cosmic experiments somewhere just after half of the track, the few floating background synths, the sampled vocals I just mentioned, or the nice changes in melody and speed. Edges is, with less than seven minutes of length, one of the shortest things Monolithe ever did, but it is a concentrated definition of Monolithe’s massive sound. Nothing more, but a nice symbiosis. And then comes, to finalise this compilation, a re-mastered edition of Harmony Of Null Matter, done in its totality, i.e. the full thirty six minutes-package. Harmony Of Null Matter is, once again, a monumental piece of Aural Art of the most funereal kind, defining the superb craftsmanship of Monolithe. As from the pounding and mesmerizing opening riffs / structures, over the droning repetition of hypnotic obscurity and distorted grimness, to the eerie, oppressive finale (listen to these marvellous drum patterns, the eerie twin leads, the abyssal growls, or the suffocative riffs, throughout whole of this composition); it stays mystic, magic, mysterious, a true expression of how Funeral Doom must sound like!